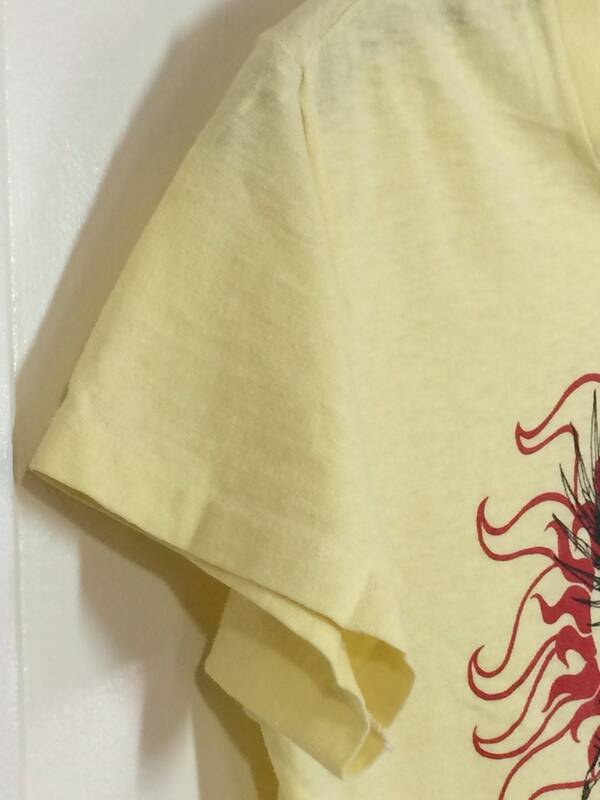 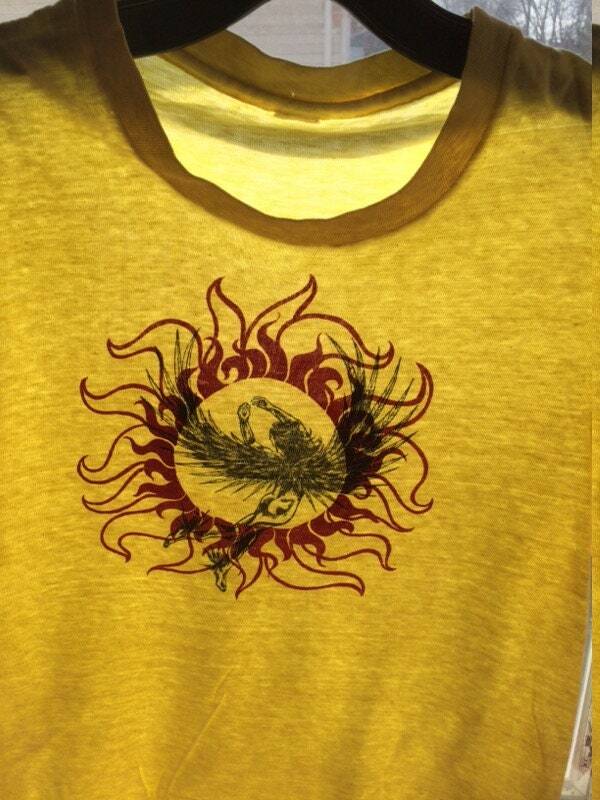 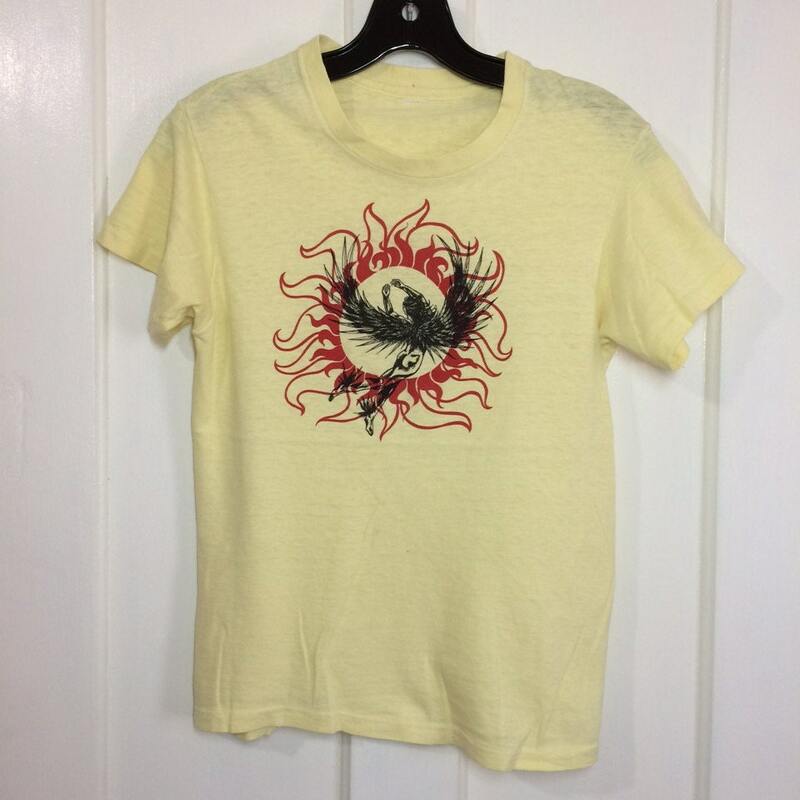 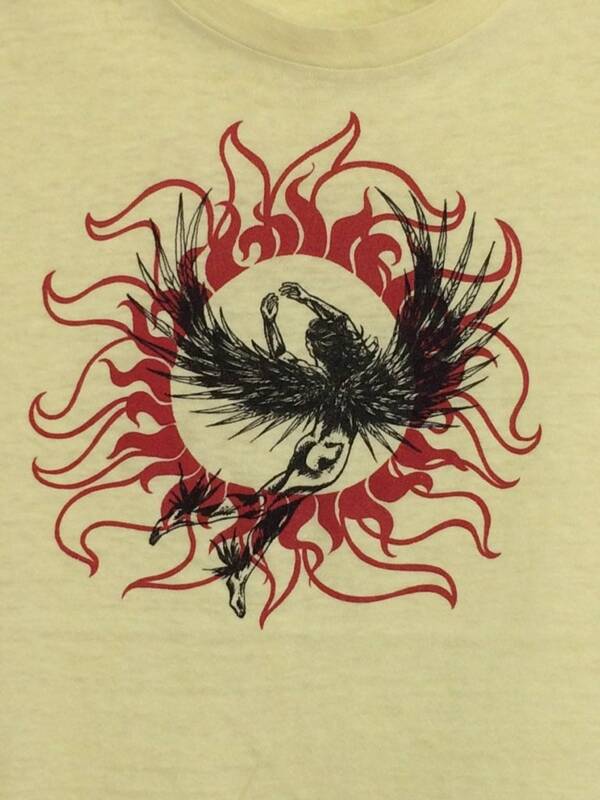 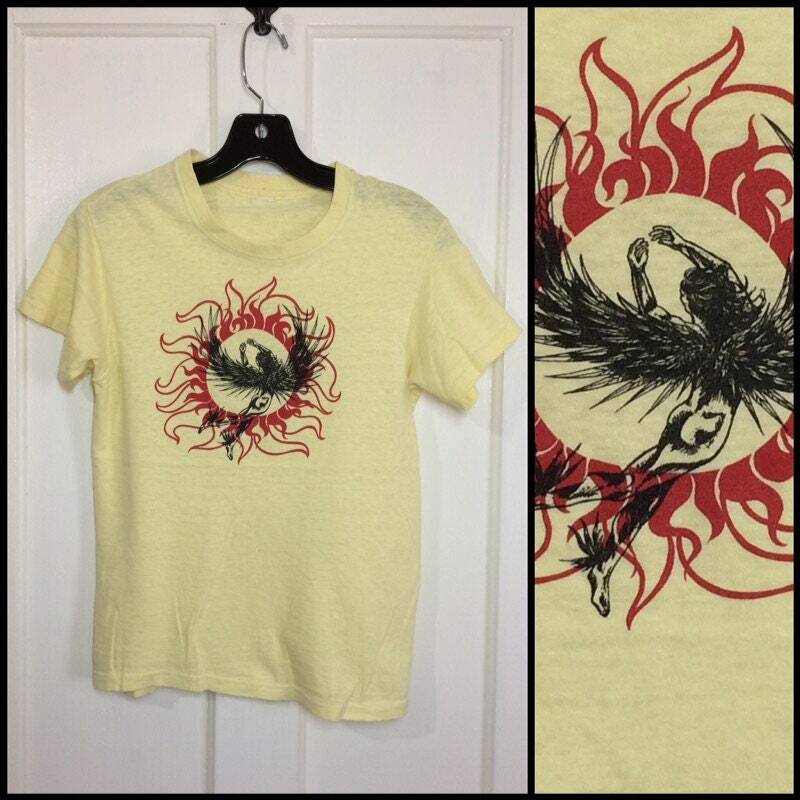 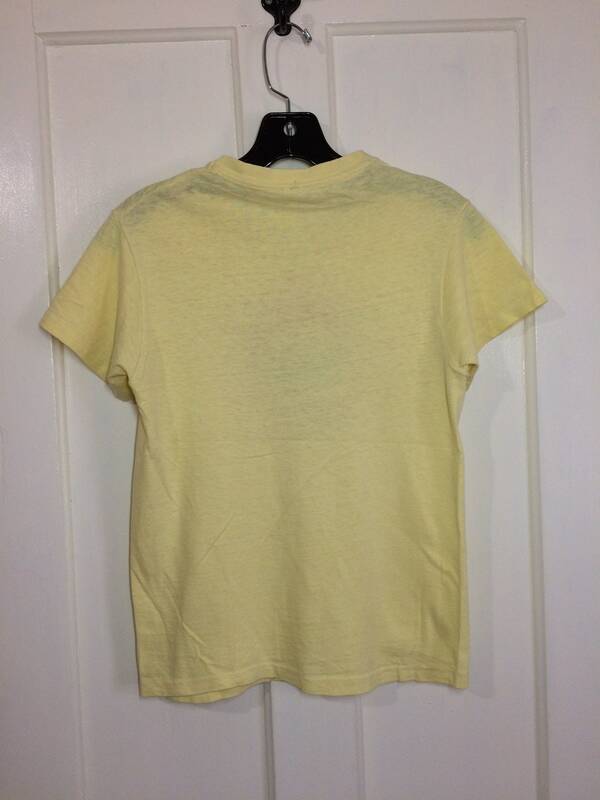 Here's a thin cotton, Icarus t-shirt from the 1970's. 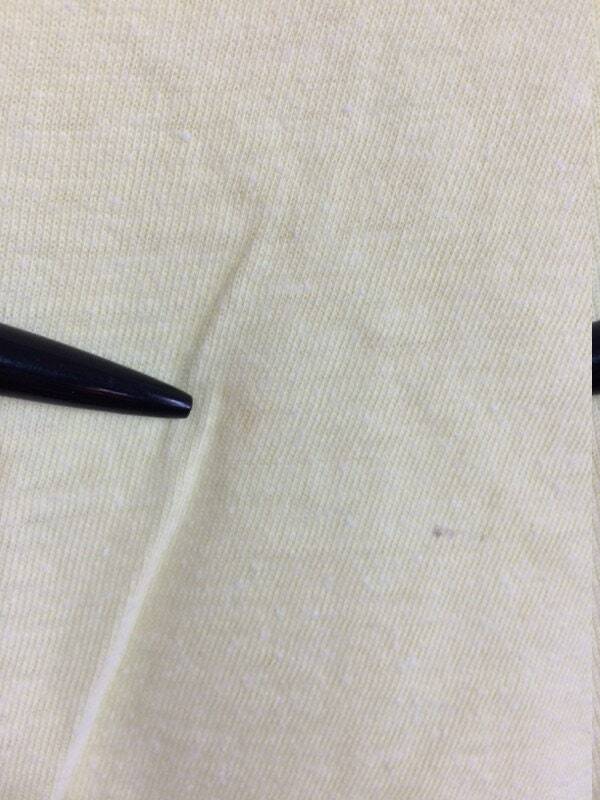 There's a small mark and small light spot, see last photo. 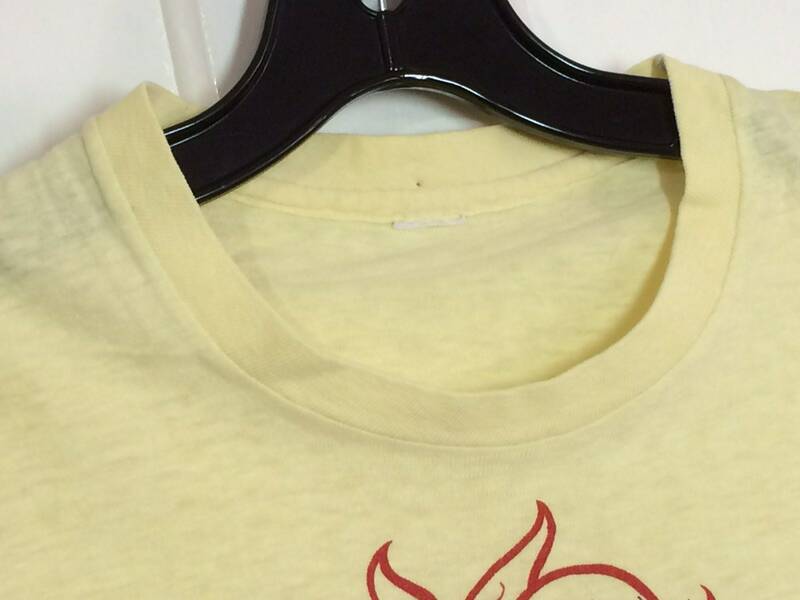 Otherwise, it's in excellent used vintage condition.